When should tree removal be done? The best time to remove a tree is when it is dormant. In the Texas Panhandle that time is from late fall to early spring. There are several factors why this time is ideal. Growth rates during these months are low as well as sap production. Without the canopy of leaves, removal is also much easier. These reasons make the cooler months ideal when removing and trimming trees. Have you ever wondered why you see photos of people hugging trees? There is something magical about sitting under shade of a really beautiful manicured tree. Not only does the tree look beautiful, but it also provides a coolness to the Texas heat. How many scenes from movies do you recall that focus on a boy and girl sitting in, or under, a tree? We are passionate about seeing how trees and bushes affect the overall aesthetic of a home. They truly can transform a residence from ordinary to extraordinary. No one likes to see their neighbors landscape look better than their own, and that includes trees. Look at the services we provide and let us show you how your residence can be transformed. Trees are a great addition to any home or commercial property, but sometimes they are an unwanted nuisance or hazard. Older trees can fall victim to disease causing them to decay and die. They can also be damaged by storms or high winds. That small tree planted years ago has grown much larger and now is too close to your home or office. There are many reasons to have a tree removed and many ways a tree company can remove them. 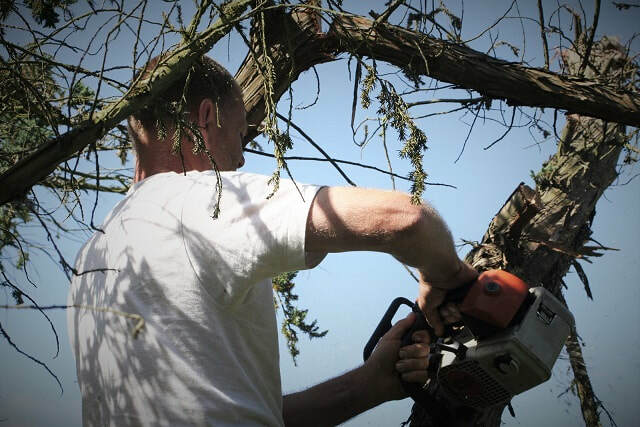 Here at Tree Service Amarillo we match the technique and tools, with the job, to provide you the best tree removal service possible. In the Amarillo area homes are abundant with live oaks that are many years old. As these trees have aged many of their main support branches have grown long and somewhat horizontal. Conditions such as this are prime for cabling as a threshold will be met where the weight of the limb cannot be supported by the tree alone. ​Sometimes trees need a little help in supporting limbs from overgrowth or high winds. If you have a beautiful limb that has grown more than can be supported on its own, then tree cabling might be a consideration. Cabling involves supporting the weight of weaker limbs with steel cables. It can be dangerous to both the person and tree - a professional is definitely recommended. If done properly the supported limb can continue to grow and thrive. Texas is notorious for thunderstorms and crazy weather. These unpredictable storms, bringing lightning and high winds can lead to pretty substantial damage to trees. Damage can range from a few downed limbs to entire trees uprooted from the ground. Cleaning up damaged trees can be hazardous so it is important to seek trained professionals that can remove damaged trees safely mitigating further damage to your property and possibly yourself. 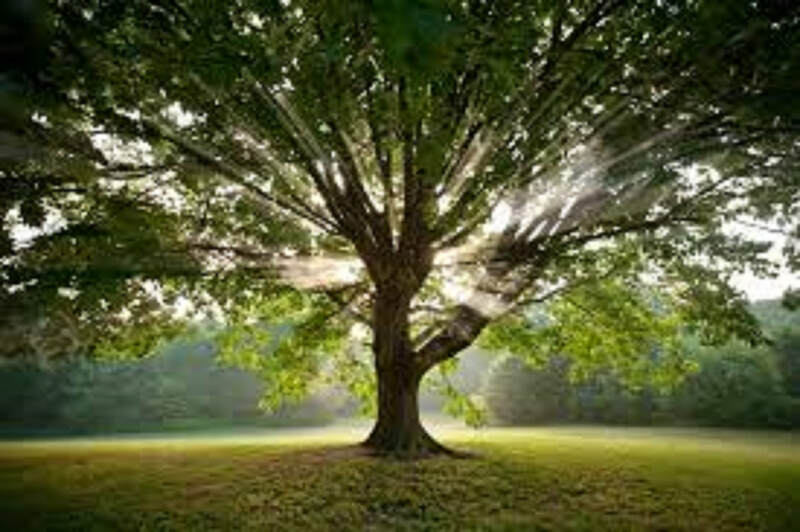 When choosing a tree care company it is important to choose one that puts your interest first. Many companies are not licensed or bonded, and many do not have proper training in tree care principles. Choosing the wrong company, which may only be a few landscaping type guys, can cause more harm than good to your trees and structures. Ensure that you have good communication so your wants and needs are noted before any work begins. A lot of times we are called out to fix a problem caused from bad communication by a previous tree service company. Don't Wait. . .Call Us Today!!! Whatever your tree care needs may be, let our "tree pros" at Tree Service Amarillo deliver the solutions you desire. Don't hesitate to call with questions or concerns. Our main service area is Amarillo and Canyon, but can make our way to your area if need be.